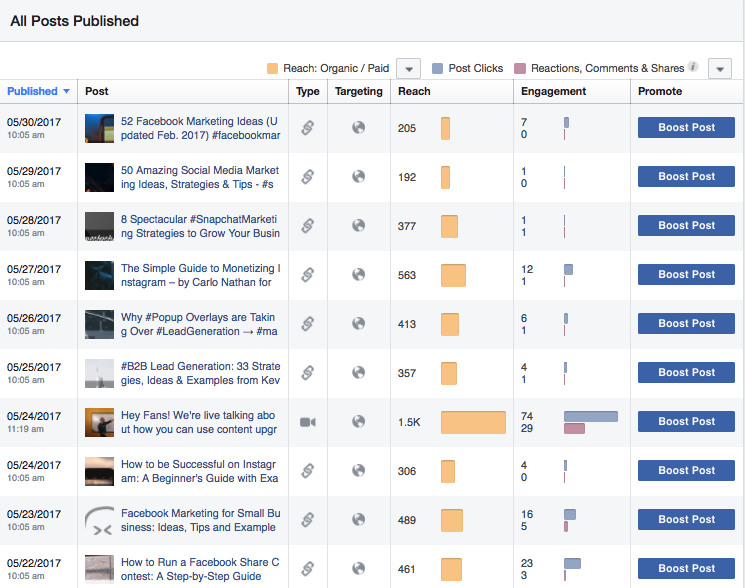 Do you have a Facebook Page with thousands of fans, but aren't seeing the bottom-line results you want to be? Or are you struggling to generate Fans, and haven't even thought about monetizing them quite yet? Either way, turning your Facebook Fans into sales is going to be key. No matter if you have a single Follower or 100,000, there's little point in generating Facebook Fans unless you know how to turn them into customers. In this article I'll walk you, step-by-step, through three proven strategies that generate Facebook Fans and effectively turn them into customers. Bonus-entry Facebook contests are, increasingly, the best way for your business to legally prompt Facebook users to become Fans. Bonus entry contests work by incentivizing your Fans and non-Fans to Share or Like your Facebook Page in return for an increased chance to win your contest's prize. Create a Facebook contest where the prize is something only your target audience would want (your product, for instance). Promote it with organic posts, website popups (to drive your website traffic to Facebook) and Facebook ads. Incentivize people to Share the contest and Like your Page with bonus-entry. Once your bonus-entry contest is launched, you'll be driving a bunch of new Fans. But, as we mentioned above, there's little point in driving Fans unless you have a strategy to turn them into clients or customers. You've asked all your contest entrants for their email address, and email's going to be the best way to turn them into customers. 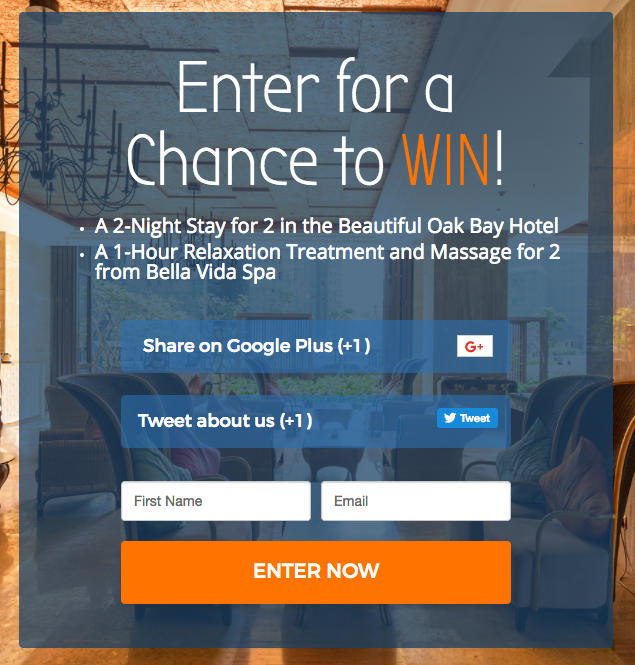 Segment your contest entrants within your email marketing tool into two lists: "People Interested in [Product Prize]" and "Contest Entrants." Send a commiseration email to all contest entrants which includes an exclusive 7-day discount on the product you put up as your campaign's prize. Send a follow-up email three days after the first was sent reminding people of the discount. Send a 24-hour reminder of the discount. Next time you're running a promotion discounting a product related to your contest's prize, send a newsletter to your "People Interested In [Product Prize]" segment. The second-most popular way to A) Generate more fans and B) Turn those Fans into customers is with a promotion or discount exclusively available to Fans. Whenever you think about a strategy to drive Facebook Fans, you need to consider the reason a Facebook user should Like your Page. And, whether through awesome content or a fan-exclusive promotion, it's about providing value. 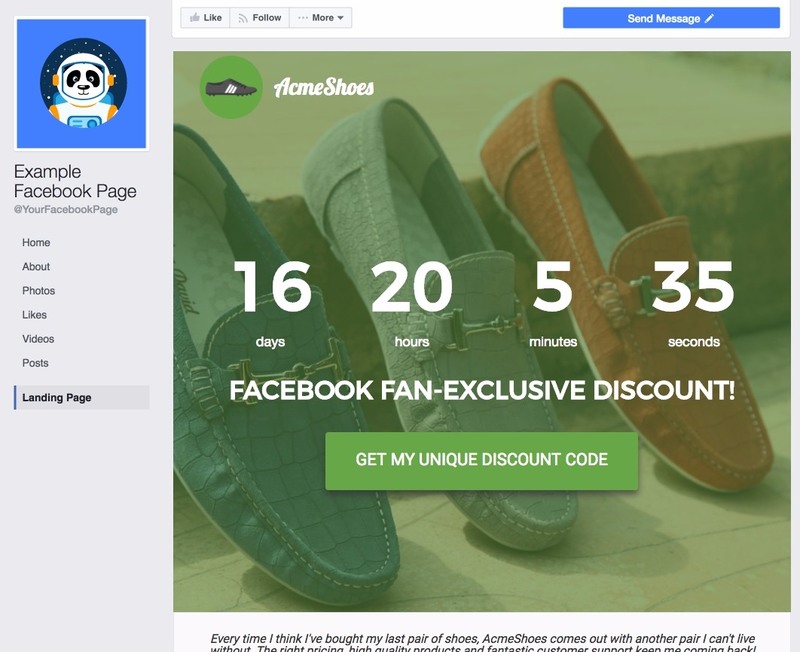 Fan-exclusive promotions are simply the quickest and easiest way to deliver that value. Facebook's website custom audience targeting allows you to target people who have visited your website with ads on Facebook. They're a powerful way to recapture otherwise lost traffic - those people who see a link on social media or SEO and then bounce before subscribing, becoming a lead, or purchasing. 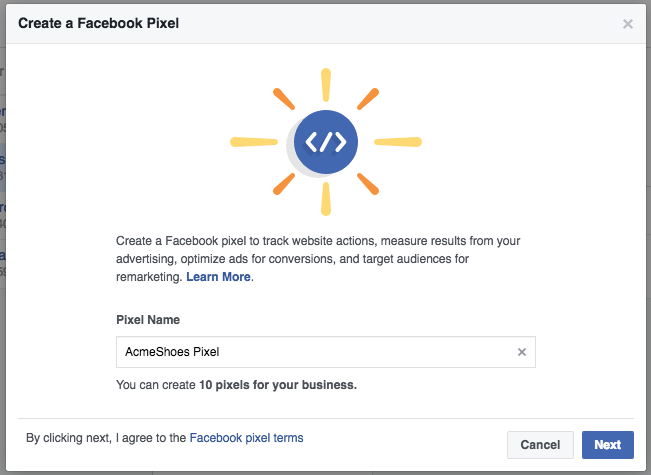 Add the Facebook tracking pixel to your website (see below). Target people who have visited the web page where Fans can access their discount code. 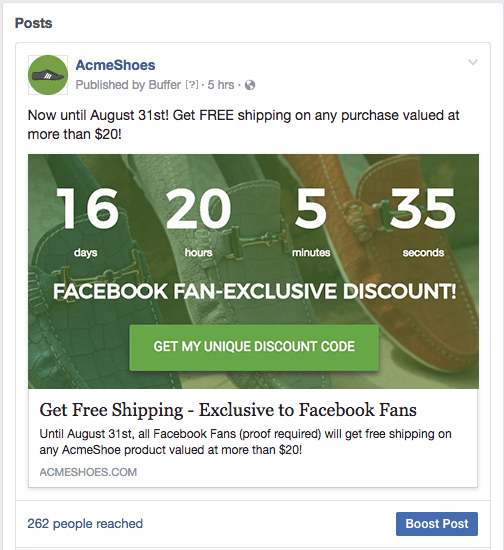 Create an ad prominently featuring the "limited-time" element of your promotion as well as the same visual elements as the Post and campaign page. Target your ad exclusively at those people who viewed your discount code page but NOT the "Thank You" page. Step 1: Click "Create a Facebook Pixel" within Facebook Business Settings. Step 2: Give your pixel a name and click Next. Step 3: Follow the simple walkthrough to add a Facebook pixel to your website's back end. Top Tip: Website Custom Audience targeting can be a powerful tool for many of your business' objectives, social media-related and not. Many businesses use WCA campaigns to address cart abandonment or retarget people who visit your pricing page but don't buy with value-add messaging which encourages a conversion. 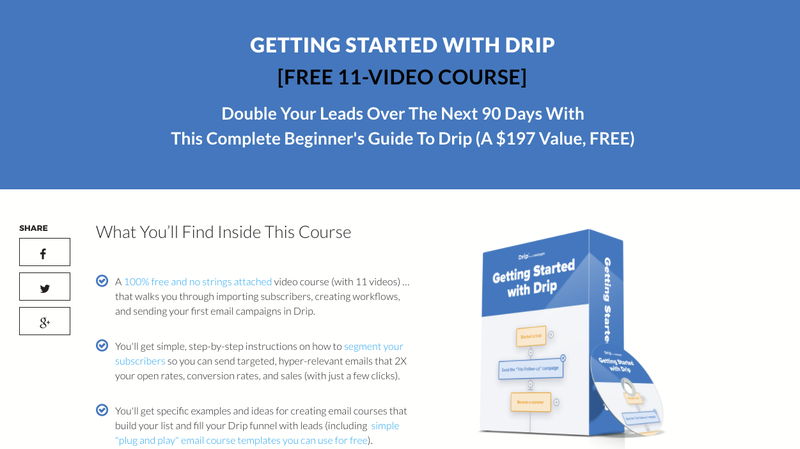 There's no better way to turn Facebook Fans (also known as super top-of-funnel contacts) into customers than through an educational course. Educational courses effectively turn Fans into leads by offering value in return for an email address. And then, through progressive educational content, they start showcasing the value of your service or platform. As far as promoting your educational course goes, there's nothing better than Facebook Live. Facebook Live is quickly becoming the #1 way to generate organic engagement on Facebook. And they're absolutely perfect for promoting your educational course. 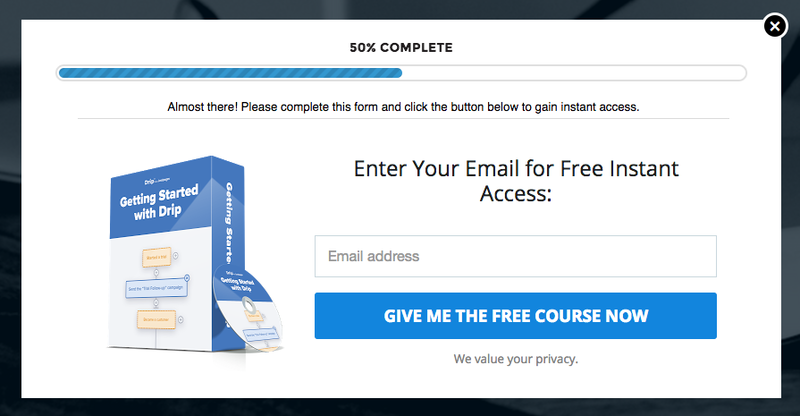 Acknowledge that the course is far too long to cover in a single video, and prompt people to visit the course's landing page in the section below the video (driving people to your website). Run several live videos over the course of the week, either repeating the content (if you target your videos to Fans who haven't yet viewed them) or giving new tidbits of your valuable insight each time. Facebook Live Video is, in terms of the Facebook algorithm, the most organically-promoted of any content type, meaning you'll get more Reach out of every post. 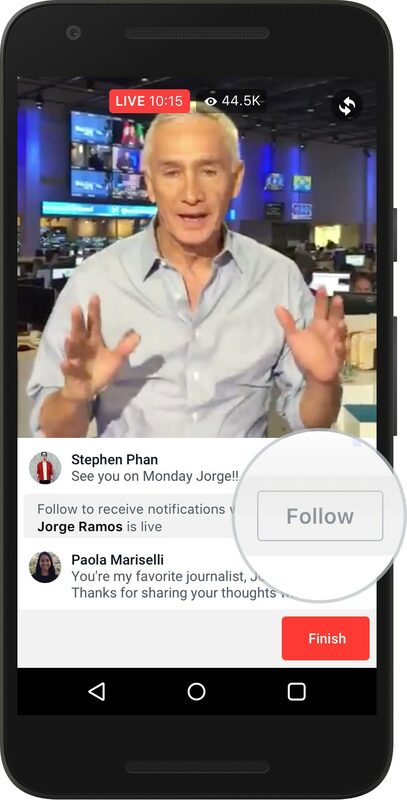 Every Live video you make can be saved as a permanent post after you've finished. As a result of Video becoming permanent, paying to promote your Facebook Live videos can be extremely lucrative, as the initial momentum can be maintained once paid promotion ends. Facebook Page admins can add audience targeting, custom thumbnails and more to their Live Videos. Introduce yourself multiple times, as new viewers come in. Ensure your video is 10+ minutes long. Your video's organic reach increases as people show up and endorse it, so don't shut down just as most people arrive. Move around. Keeping the point of view static makes for a boring video. Prompt engagement from viewers throughout your video. Whether you're just getting started with building your Facebook Page or have been at it for years, monetizing that Page is a crucial component of social media marketing. Brand awareness is fantastic, and so is an engaged and happy Fanbase that loves what you do and post. But better than both is the ability to buy a yacht. What do you think? Have you tried any of these strategies? Which work best for you? Please share your thoughts in the comments below!